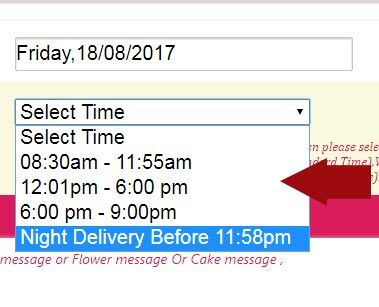 4) Midnight Delivery " before 11:58pm"
Midnight Delivery Time : If Customer Select Delivery Time Before 11:58Pm Night then delivery time will be midnight delivery time. First try to follow below procedure. 2) Click "Continue Shopping" To Add More Product for Delivery like Flower / Teddy / Candle / Chocolate Sweets etc. 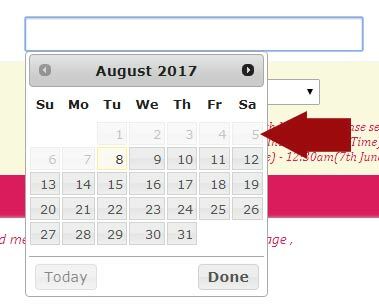 5) Review Billing Details Page : review your billing information and click "Next Selected Your Payment Mode and Payment Online. 7) After Success Full Payment : You Will Get Invoice in Your Email, you can call us & get confirmation of Order. 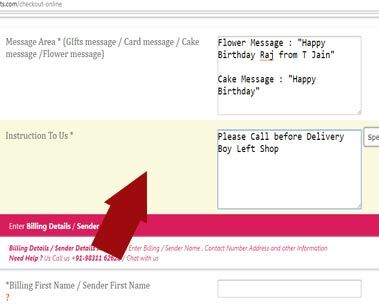 2) flowercakengifts.com does not store the credit/ debit card information in any form during the transaction. We Redirect You to payment gateway / Bank Page for Online Payment. 1) http://flowercakengifts.com	This website uses (HTTPS) Protocol and a Comodo SSL certificate to secure online transactions for customers. HTTPS Means : Hyper Text Transfer Protocol Secure (HTTPS) is the secure version of HTTP, the protocol over which data is sent between your browser and the website that you are connected to. The 'S' at the end of HTTPS stands for 'Secure'. It means all communications between your browser and the website are encrypted. By choosing Comodo SSL, the owners of this website have proven that customer security is their highest priority.